Daylight savings time ends at 2 a.m. Sunday. 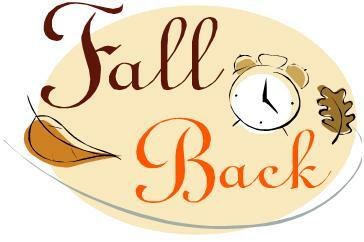 Be sure to “fall back” by setting your clocks back one hour before going to sleep Saturday night. Clocks will need to be set forward an hour at 2 a.m. on Sunday, March 9, 2014. This entry was posted on October 30, 2013 by Barrington Bulletin in Events, Region and tagged daylight savings.